What's is your skin prep routine? I spend long time prepping my skin and putting on the makeup. But with Goddess Skin, I able do my make up less than 2 minutes. Is Goddess Skin worth for investing on it? Are you curious about Goddess Skin? Goddess Skin Instant All Day Whitening Face Cream is formulated using France technology and the ingredients contains bird nest, Alpha Arbutin Bearberry, Aloe Vera and Vitamin C & E. Goddess skin Instant All Day Whitening Cream is the latest beauty product in Malaysia market. Sound good right, as you get 5 benefits in one bottle. Simple step to apply on Goddess Skin Instant All Day Whitening Face Cream. Step 1: Apply sufficient amount of the cream on you face. Step 2: Apply also to the neck area to give a better skin tone. Personal Review: I can see a visible result after apply on Goddess Skin Instant All Day Whitening Face cream. It helps to brighten up my dull skin and at the same time maintain the moisture of my skin. I use it as a primer or CC cream and my dark spot become invisible. The best part, you only need less than 2 minute to apply your makeup. And my makeup last longer. No make up remover is required and I use it during night time to ensure my skin stay moisture. Light,non greasy and matte texture. The face cream absorb into my skin easily. The face cream is colorless and blend well with my skin tone. Come in travel size whereby I can bring it with me during travel. Goddess Skin All Day Whitening Face Cream contains SPF20++ that prevent my skin from harmful UV rays. Just apply on the face cream before you go for outdoor activities. 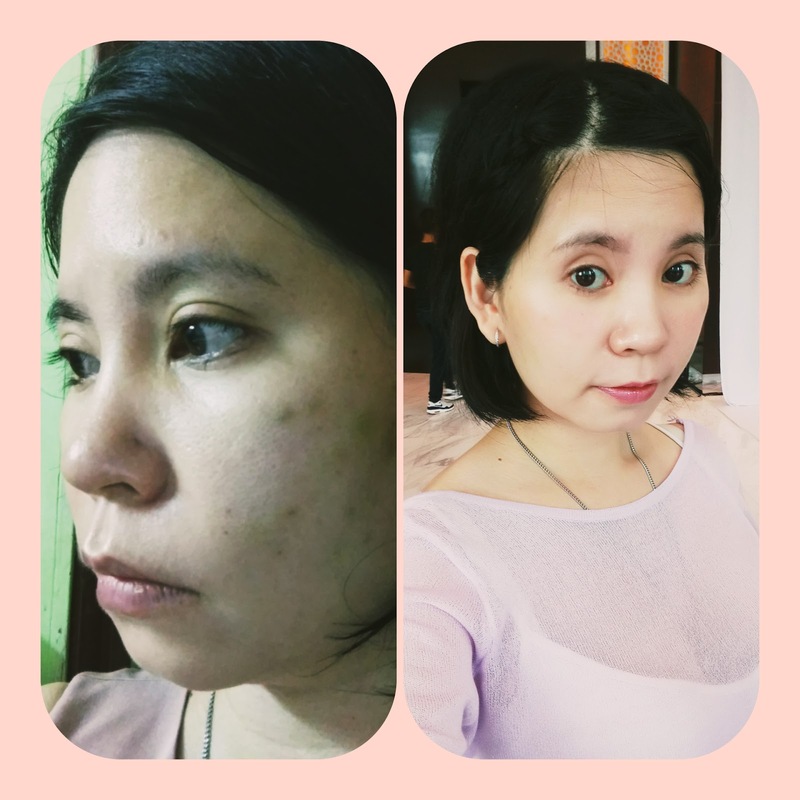 Overall, I can see the difference on my skin after apply Goddess Skin Instant All Day Whitening Face Cream for a week.